After recently coming back from an exhausting trip to Slovenia we were in a desperate need of good rest. Our idea of time well spent consisted of a bed, a few episodes of “Friends”, and comfort food. If we could, of course, combine this with a good hike in a beautiful mountain, this could be heaven! And because we were lucky enough to find a perfect hotel that combines all of this (plus a ton of good food and beer) we want to share it with you. Shortly after coming back to Mother Bulgaria, it happened to be the time when we accepted an invitation from the Green Wood Hotel & Spa in Bansko. They wanted to show-off with their all-inclusive, and I have to tell you – they do have a reason to brag! Here is a quick re-cap the things we loved about this place. Spacious and comfy – these are the best words to describe them. We arrived late on a Friday evening and even though we were dead tired we could not hide our enthusiasm! Even made a short video for our Facebook Page. You can see it here, but I warn you – it’s not very good. As for the rooms, we had everything we could wish for. Comfy beds; large sofa; TV (we never turn these on); big, clean, and nice bathroom; a balcony with a lovely view. The only thing we found unnecessary was the small kitchen, but its “presence” didn’t bother us at all. That was A LOT! Let’s admit that it is quite convenient. We didn’t manage to try it all, but everything we tasted was very good! And the best thing about it was the fact that you could choose between fresh vegetables and fruits, cooked food, sweets. Basically – something for every taste. We had planned to conquer Vihren (the highest peak in mount Pirin) and then spend the evening in the spa. Since the weather caught us by surprise with not-so-nice thunderstorms the Vihren idea was postponed indefinitely. We still did try the spa, however, and loved it! 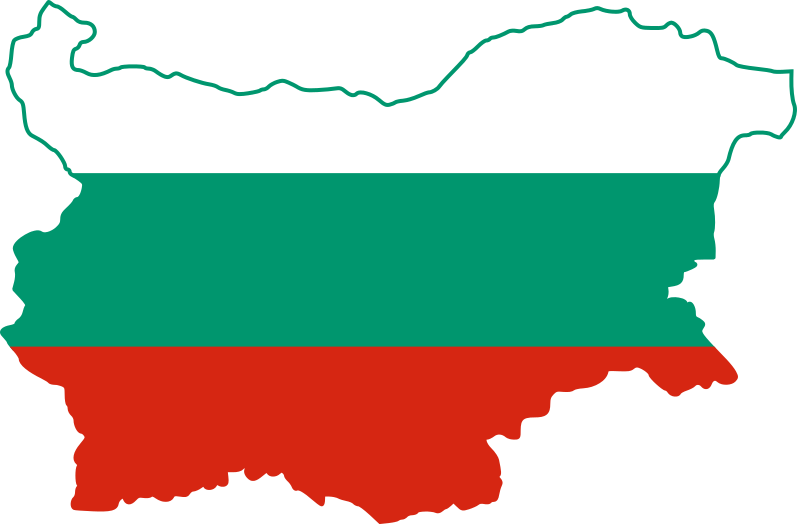 Aroma steam bath, sauna, lovely warm indoor swimming pool, and the ice bucket challenge level Bulgaria. I love places that pay attention to detail. Beautiful blooming flowers, green grass, nice size outdoor swimming pool, lovely wooden arbor and views to die for. Yup, we really loved it. The winner: all-you-can-drink Pirinsko beer! Ellie and I have a strict policy when it comes to hotel review: if we don’t love it, it doesn’t show up on the website. But the GreenWood hotel offers an extra that we believe can give it the 5th star. What am I talking about? Part of the all-inclusive deal is that you have access to draft Pirinsko beer all day long… I can’t stress this enough. For those of you who don’t know – Pirinsko is our most favorite Bulgarian beer and it’s made with spring water. It’s light and very tasty! What to do and see if you’re staying in the Green Wood hotel in Bansko? See the “Christ in a spaceship” church wall murals in one of the oldest churches in Bulgaria (located in the village of Dobarsko). How to get the best deal for Green Wood Hotel in Bansko? To get the best deal for this hotel (and many more) check this website: https://www.fixstay.com. Here is a direct link to the current offer of the hotel.